ATD Warehouse in Wentzville, MO has contracted for a large warehouse addition to their current facility. 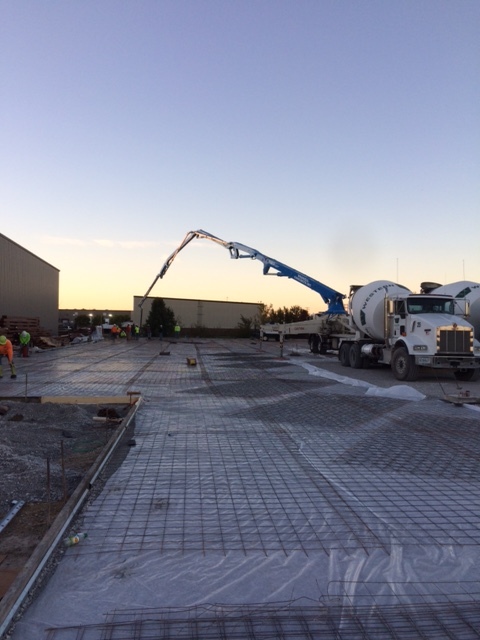 This large concrete pour pictured here was approx. 500 yards of concrete to provide the floor for this new space. In addition to the new warehouse space we are building for ATD, we are also installing new LED lighting into the existing warehouse in order to reduce energy cost, maintenance and better lighting overall. It was important to the owners that the transition from the existing to new warehouse be as seamless as possible and the lighting aspect was very important to achieving this goal.